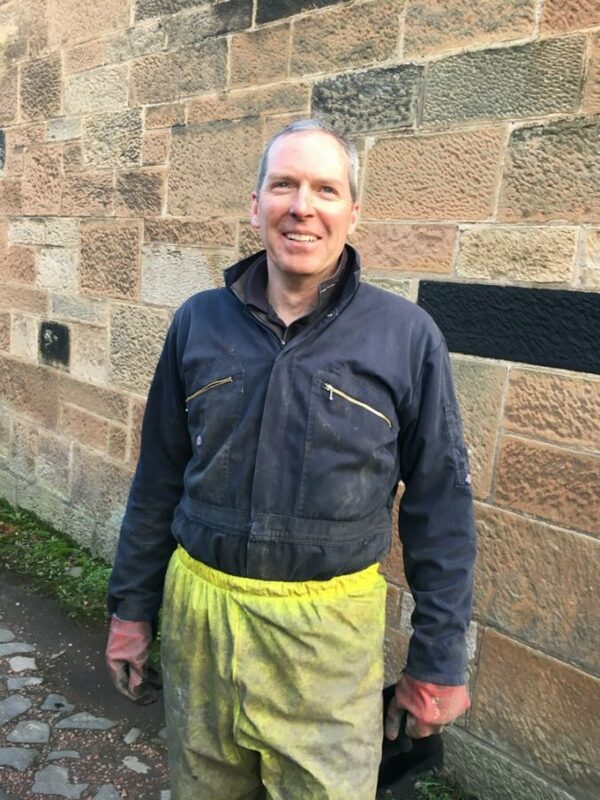 David Murray may not be the most familiar Strathbungo character, given he lives 35 miles away on a farm in West Lothian, but he has surprisingly strong links to the community. He has been delivering fresh organic fruit and vegetables fortnightly to the area for many years (thewholeshebag.co.uk), and regularly serves at the Society’s Back Lanes Tea Garden. His son has even provided the musical accompaniment on the pipes some years. 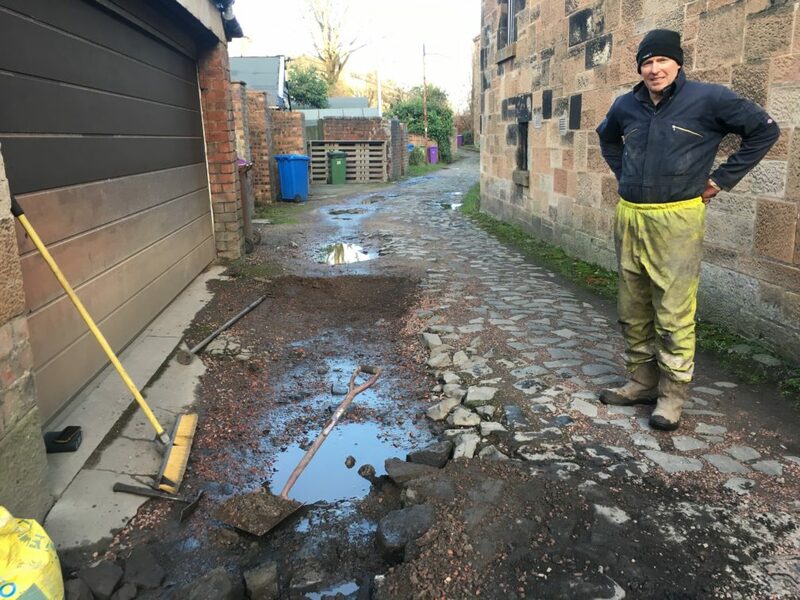 He recently helped clear the railway embankment at Marywood Square in preparation for spring planting, and is a dab hand at patching cobbles in the back lanes, currently restoring a section off Marywood Square. He is landscaping several gardens, including fresh turf for the tea garden this year. 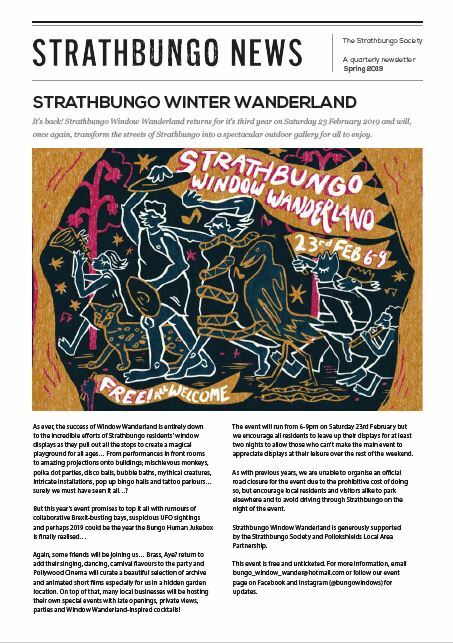 Single handedly sprucing up Strathbungo – if you spot him, say hi! 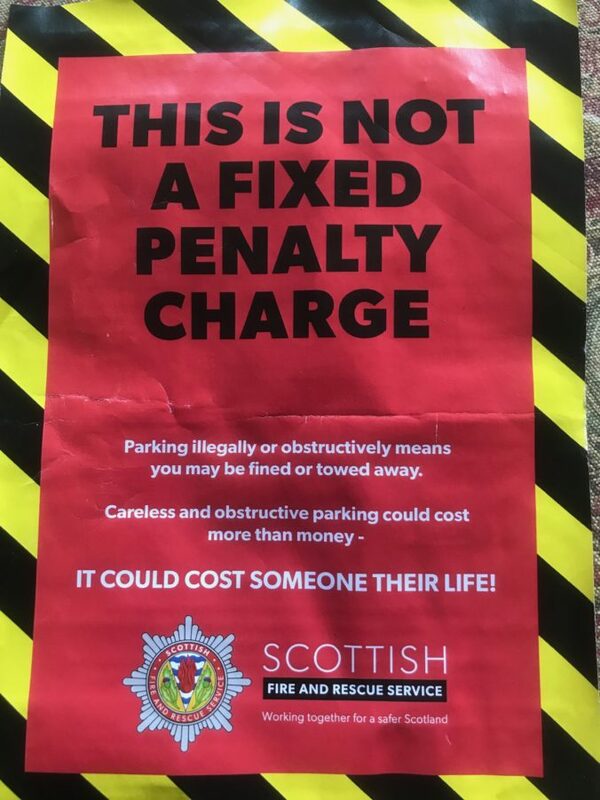 Traffic and parking in Strathbungo present a problem of ever increasing severity; recently we have been informally advised that it will soon be necessary to restrict parking in Regent Park, Queen and Marywood Squares to a single side in order to allow access for emergency vehicles. Fire vehicles in particular are increasingly unable to get along these streets. 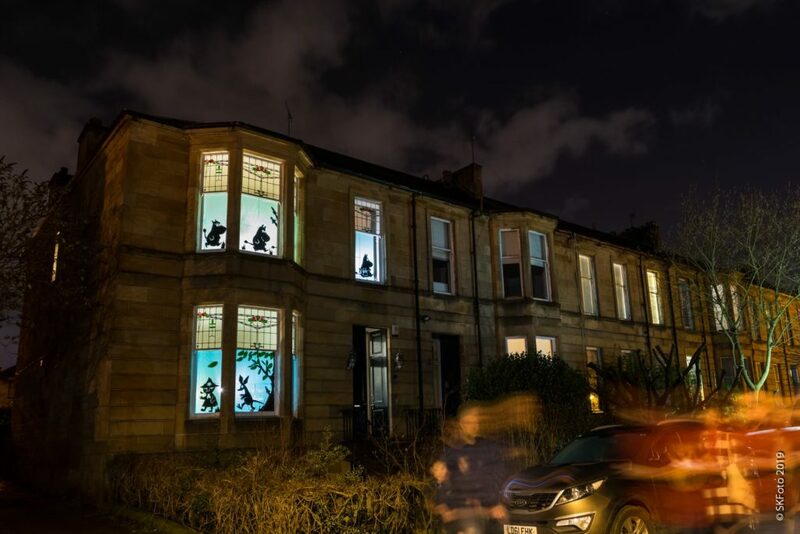 There is however an alternative more radical solution to this problem that will also take care of many of the other environmental problems associated with Strathbungo’s streets. 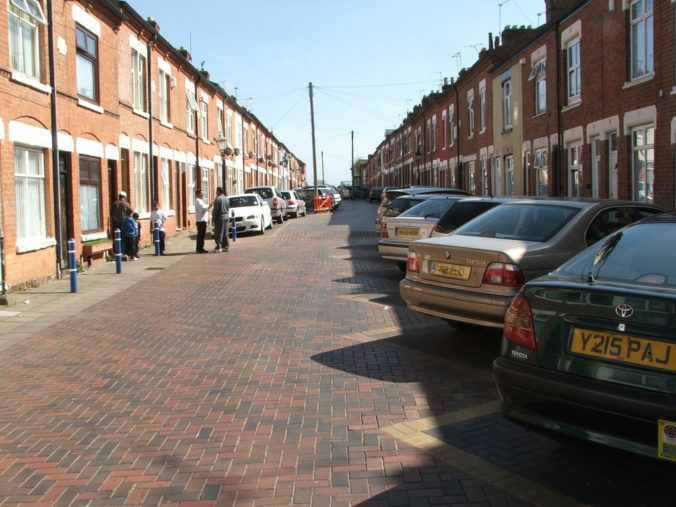 It is clearly not practicable to think of restricting use of the streets to pedestrians alone (pedestrian precinct) but it is possible to consider a residential precinct. This type of arrangement has been extensively used in Holland where it is known as a Woonerf (plural Woonerven). 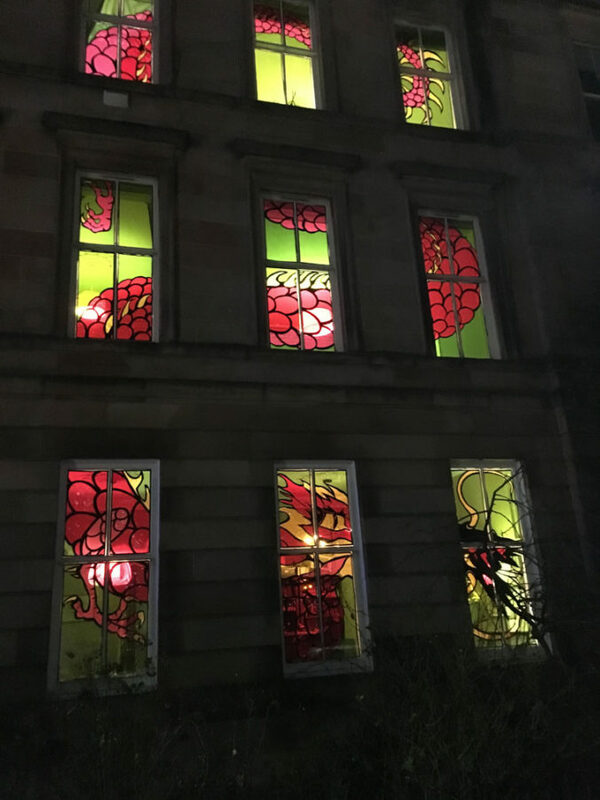 This year’s Window Wanderland was another great success, with the artistic spirit to the fore, backed by Pollywood Cinema, Brass Aye, and a live juke box. It was mobbed on the night – we could do with more stewards and fewer cars next year – and it made the attention of the Observer. Photographer Stefan Krajcik has once again provided some stunning photographs for us all to share. In late January a resident called 999 to report a house fire. Two fire engines were promptly dispatched, but neither arrived. 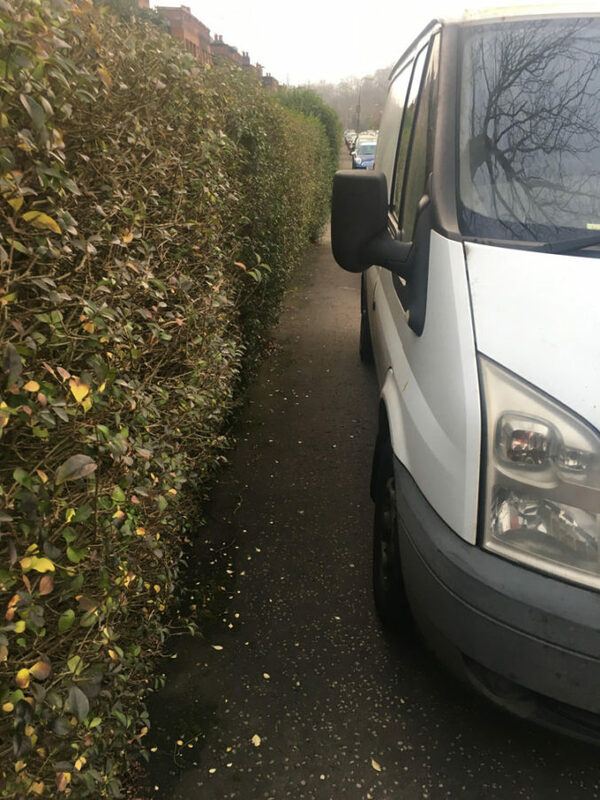 They both became trapped in the narrow streets of Strathbungo, due to poorly or illegally parked cars. Fortunately the fire burnt itself out on this occasion, with no major harm done, but it could have been much worse. And this is not the first time this has happened. Sometimes we pay too little attention to where we leave our cars, and the consequences it has for others, be it pedestrians and young children in the street, or those trapped in a burning building. 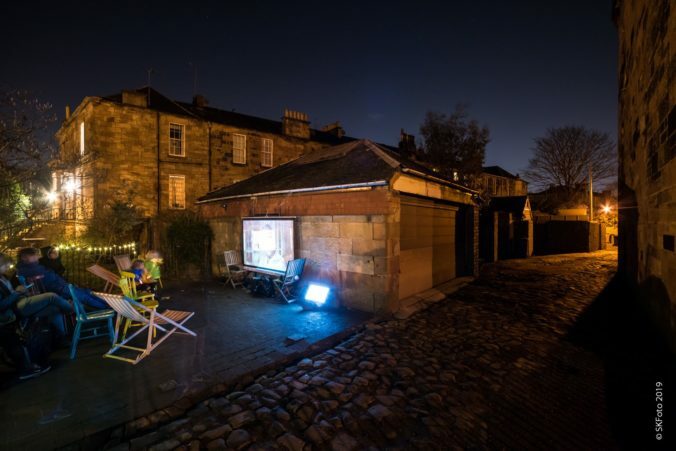 Bungo in the Back Lanes returns for its 20th year this summer! The date is Saturday June 22nd, so get planning. What will you do this year? If you want more details of running a stall, or heloping out in the planning or on the day, see our Bungo in the Back Lanes pages on Bungoblog. 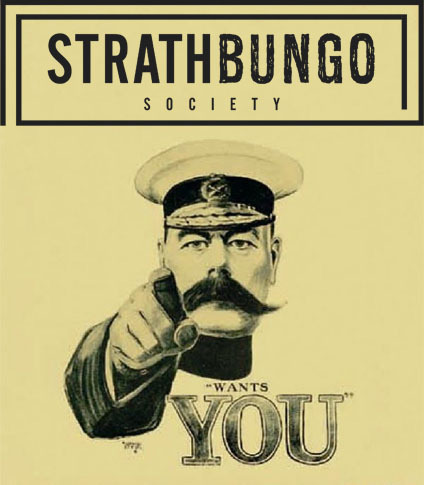 The Strathbungo Society and its events are run entirely by volunteers and we always welcome new people who want to help in any way they can. It’s important that volunteers are able to move on, so we are always looking for people to take on roles, from the small to the not-so-small, but also to develop new initiatives. Our Committee Meetings are open to all and advertised under the events sections of the bungoblog and Strathbungo Facebook page, so if you have ideas or want to know more do come along. The Bungo Committee. At our last AGM several people retired and were not replaced. We need more people on the Committee to keep going and have up to five vacancies. 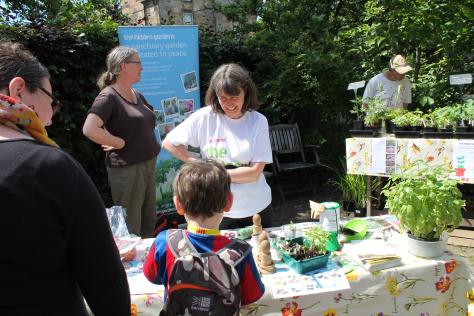 Do contact our Chair, Jane Carolann, at chair@strathbungo.co.uk or come along to our next meeting to see what is involved. Newsletter delivery. Our distribution co-ordinator, Imelda Devlin, is always looking for new people to distribute our newsletter (3-4 times a year) whether to take on a street permanently or to act as a reserve when people are away. Newsletter production. Our newsletter designer has indicated she would like to step down after many years. We now have a thriving editorial team who produce the copy so we are looking for someone who has layout skills.